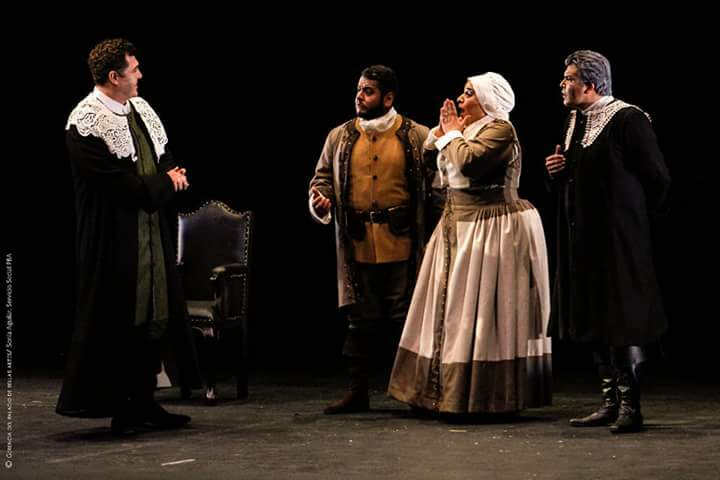 Giuseppe Verdi's Stiffelio had its Mexican première in the Teatro Imperial in 1864 and it wasn't until October 4th and 7th of 2018 that this lesser-known opera was performed again in Mexico, this time in the Teatro de Bellas Artes in Mexico City. It was announced that the two performances would be semi-staged and the cast was led by Luis Chapa in the title role, Violeta Dávalos as Lina, Alfredo Daza as Count Stankar, Andrés Carrillo as Raffaele, Enrique Ángeles as Jorg, Ángel Ruz as Federico and Rocío Tamez as Dorotea. 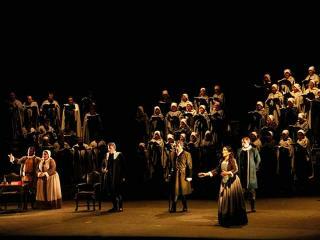 Felix Krieger conducted this all-Mexican cast as well as the Orquesta y Coro del Teatro de Bellas Artes. He and Daza had already performed this opera together in Berlin with great success. Daniela Parra was in charge of the semi-staged version of the opera, which ended up being more satisfying dramatically than other full-staged performances that we have seen in this same theater. 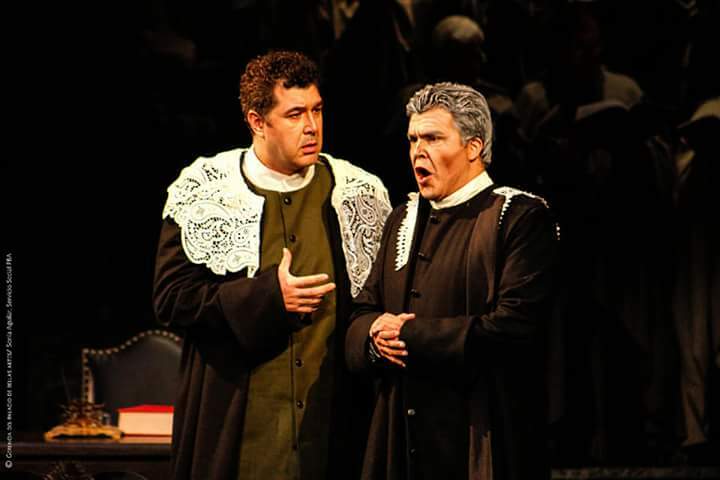 Stiffelio has beautiful music and it is a clear transition from Verdi's bel canto influence to obtaining his own style, making the drama flow even more than in his operas of his "anni di galera". We hear a more elaborate orchestation and the intensity of the music gives us an introduction of the greatness that the Busseto composer will acquire in the following years. Krieger conducted with style, bright sound and he knew very well how to balance the volume of his orchestra and chorus with the soloists. The phrasing of the music that came from the pit was very helpful to the singers. 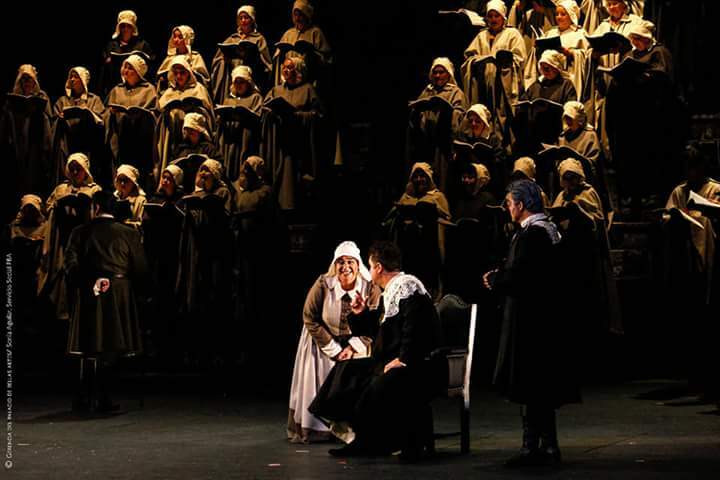 The Coro del Teatro de Bellas Artes sang with rich sound, clear diction and expressiveness. 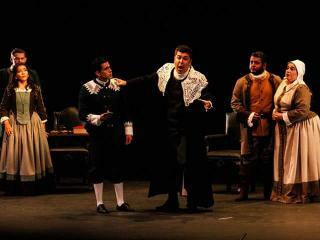 Luis Chapa was a noble Stiffelio, singing with passion and lyrical sound. He sometimes compromised the beauty of line to give more emphasis to the emotion, but this didn't diminish at all the good quality of his overall portrayal. He sang his arias with gusto, especially "Di qua varcando", which he sang with lovely phrasing. His duet with the Lina of Dávalos "Vidi dovunque gemere" was also well sung. Chapa's voice rings through the orchestra well so in the concertati he had no problem to be listened. 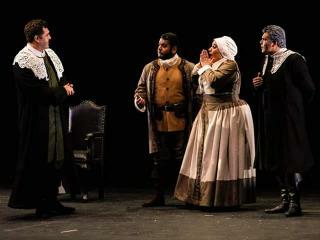 The voice is not dramatic but it was his interpretation that gave the role the desperation needed to show Stiffelio's anguish. He was very touching in the final scene of the opera. Violeta Dávalos was not in good vocal form as Lina, sounding tired when you could hear her and the phrasings she did were cut too soon, too often. There were moments when you could hear her voice bloom a little but then she screamed the high notes and was inaudible in many parts of the opera. She did try her best to make a lyrical sound in her arias "Tosto ei disse!... A te ascenda, o Dio clemente!" and "Ah! Dagli scanni eterei" but, unfortunately, it wasn't very consistent through the performance and her tone was uneven. Most of the time, her voice failed to sustain a long phrase with elegance. She did act her role with intensity and showing Lina's inner conflict but, alas, the voice failed to respond to the glorious music entitled to the role. The night belonged to Alfredo Daza's impressive portrayal of Count Stankar. Being the only one in the cast who has already sang this opera. 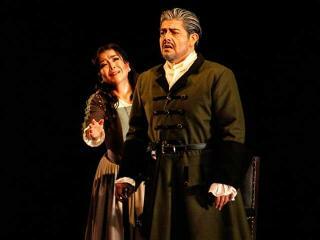 The Mexican baritone sang with beautiful legato, impeccable phrasing, gorgeous tone and a commanding stage presence. His duet with Lina "Dite che il fallo a tergere" and his aria "Ei fugge! E con tal foglio... Lina, pensai che un angelo" were sung by Daza with panache. He is indeed maturing into a true Verdi baritone sound and know the style perfectly. 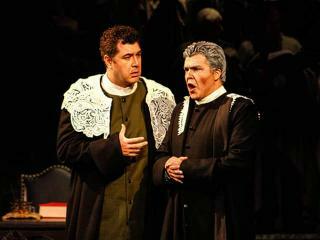 After his unanimous success as Macbeth, Daza can certainly be bestowed now with the title of Verdi baritone. 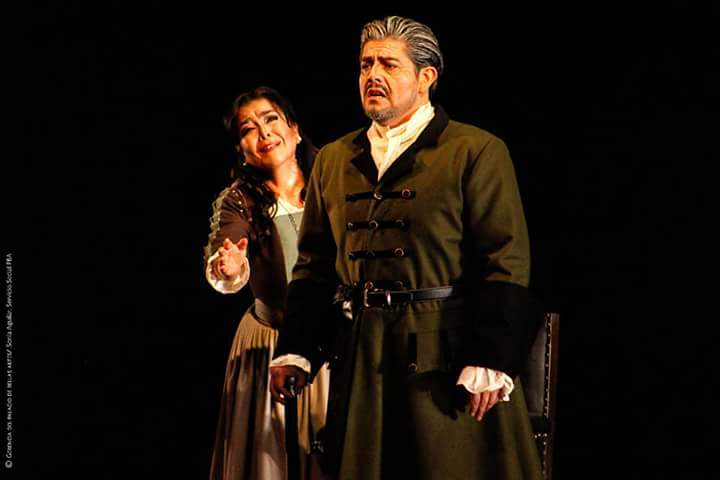 Andrés Carrillo sang with heroic tone the role of Raffaele, projecting his voice effortlessly through the auditorium and ringing very impressive high notes. Baritone Enrique Ángeles was a fabulous Jorg, singing with his usual dark, powerful voice, making the most of such a short role. Rocío Tamez was a noble Dorotea, singing with clear diction and lovely tone. 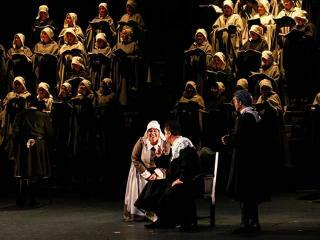 Daniela Parra's staging was cleverly done and, though it was announced as a semi-staged performance, it did gave the opera elements to portray the drama and to help the singers to show the inner conflicts of their characters. 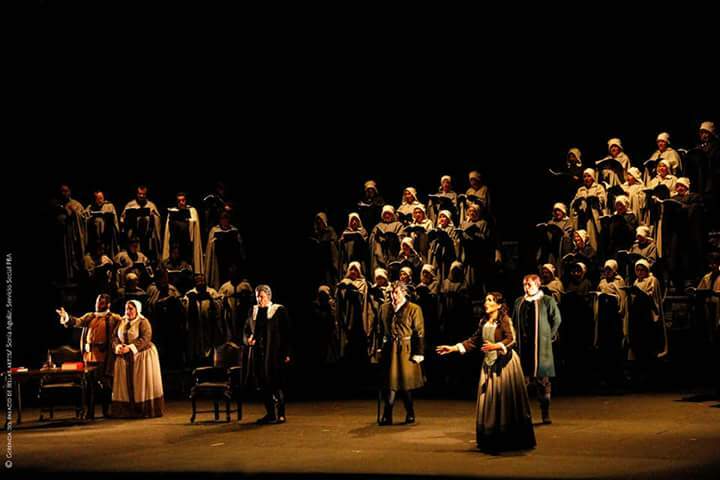 Parra used the proscenium to portray the private environment of Stiffelio's house and she introduced the chorus in their scenes by placing them in a semi-circle at the back of the stage, as if where a Greek chorus, judging and commenting about Stiffelio and Lina's story. The furniture on stage was just a desk, two chairs and, in the final scene, the pulpit from where Stiffelio forgives Lina. The costumes of Estela Fagoaga were traditional and helped the visual aspect of the staging. 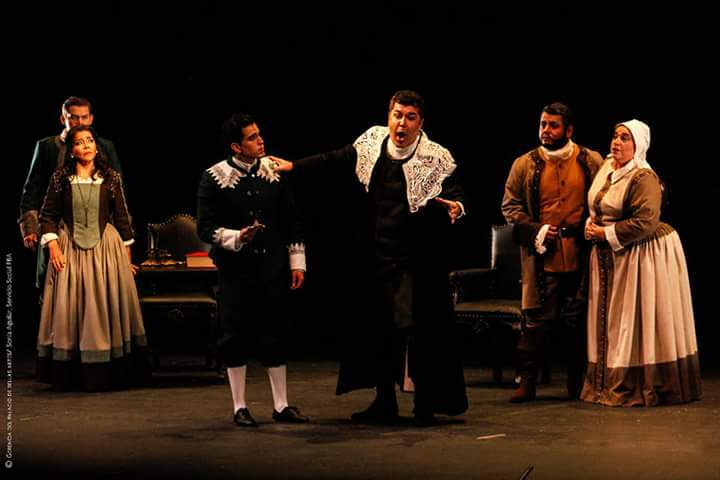 Stiffelio was warmly welcomed by the Mexican audience in a very satisfactory performance with an all-Mexican cast and a great musical work by Felix Krieger and the Orquesta y Coro del Teatro de Bellas Artes. The review is about the performance of 2018, october 7th.